WolfKatz is NO LONGER in business as of August 2015. We are thus no longer making direct sales (online shopping cart is shutdown). TwosRus has agreed to pick up production of all parts from this point forward and will contiue to support and distrubute them as required. 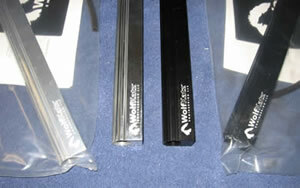 Please see TwosRus (www.twosrus.com) or our other distributors (www.wolfkatz.com/distributors.php) for all your WolfKatz Product needs. If you need replacement parts or tech support with an existing WolfKatz product, please contact TwosRus or email tech@wolfkatz.com. It may take up to 1-2 weeks for me to respond. I will leave the site up as long as possible as a reference for the MR2 community. Thanks for the great 10 years! Good up to 1000 whp. Click below for more information! The perfect regulator for a Walbro or Supra Pump, E85 Compliant with a 2 year warranty! The ultimate fuel rail for your 3S-GTE powered Toyota! 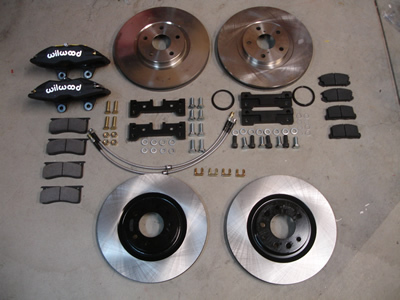 After years of development, WolfKatz has released a Big Brake Kit for the MR2 Community. The BBK allows you to build in Stages as your needs increase. It has been track tested and is used by Time Attack Champion Jeremy Croiset! Looking for a good safe side fuel rail to use with your Gen II (1991-1995) MR2 Turbo? This rail is just the thing to work with your larger fuel pump and larger side feed injectors! Mechanical design of the third generation full 3D real time fluid visualization camera in conjunction with the Gharib Group at the California Institute of Technology. With a lot of hard work, this much improved camera is working well!... Formula 1 here we come ... well, maybe later! Preparation included engine tuning (dyno), suspension setup, and fabrication in preparation for this event. Read more about our luck in the competition!